Critical Thinking: Burn, Baby, Burn! 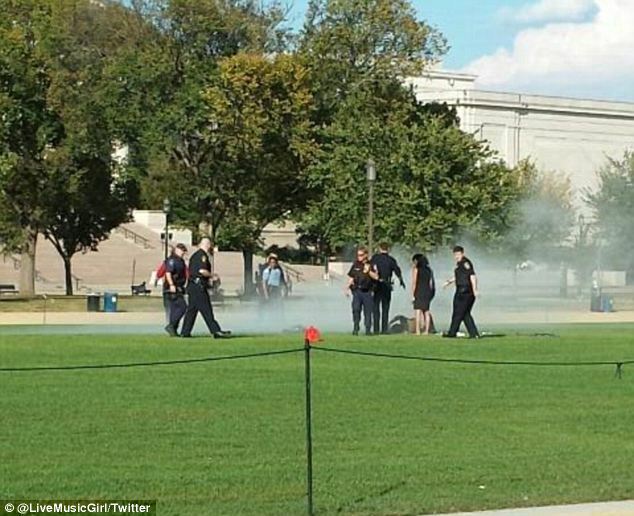 Viet-Nam Era Type Self-Sacrifice On Washington Mall. Burn, Baby, Burn! 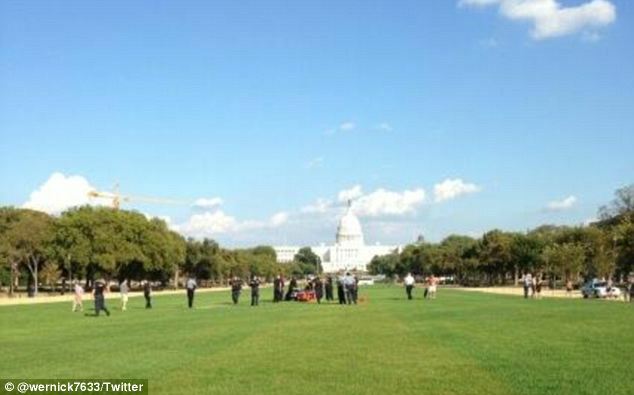 Viet-Nam Era Type Self-Sacrifice On Washington Mall. 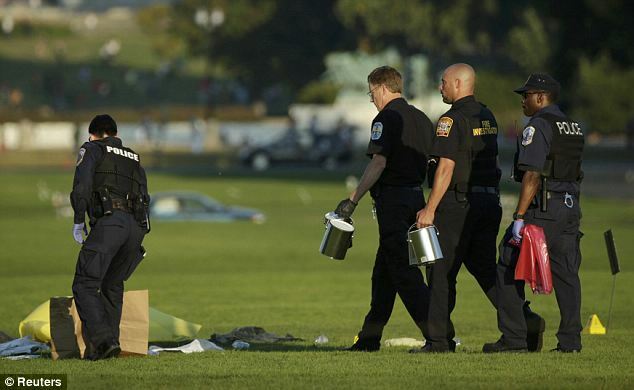 A man who set himself on fire in Washington DC's National Mall on Friday afternoon October4, 2013 died of his injuries. This brings back horrific memories of the Vietnamese monks who set themselves on fire at the start of the Vietnam War. 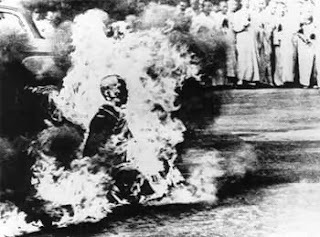 Photographs of his self-immolation were circulated widely across the world and brought attention to the policies of the government. As President Kennedy said in reference to a photograph , “No news picture in history has generated so much emotion around the world as that one." The unidentified man's burns were so severe that he has still not been identified, and authorities will have to use DNA and dental records to trace him. He had poured a can of gasoline on himself in the center of the mall and then set himself on fire at about 4.20pm, as passing joggers tried to douse the flames. 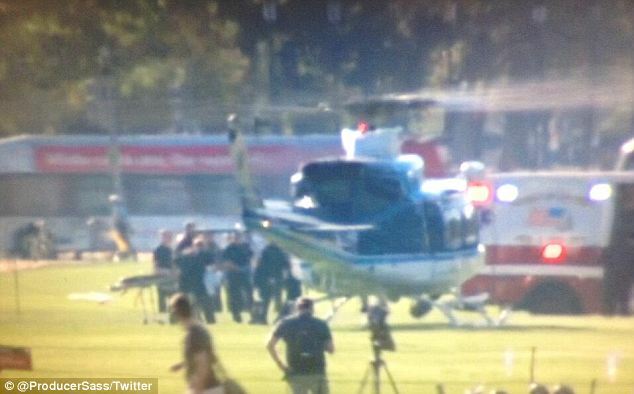 Police said he had been conscious and breathing when he was airlifted to MedStar Washington Hospital Center. Possible motives for the self-immolation are being investigated, but Lieutenant Pamela Smith said she was unaware that he carried any signs or had articulated a cause. Witness Katy Scheflen said she saw a tripod up near the man but that she did not hear him say anything intelligible before he set himself on fire. It was also unclear if the man was filming the incident. Some reports say that two male bystanders initially tried to put the fire out using their own shirts while others put the number of Good Samaritans at closer to five or six people. Dangerous: The man in question was not identified and his motivation remains a mystery, though the very public nature of the incident hints that it could have been in protest to the government shutdown. 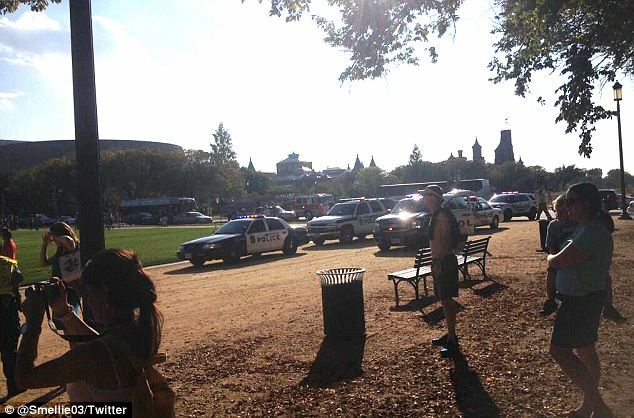 The incident took place near the Air and Space Museum and although his motive is not known the chosen location hints that it was a demonstration. 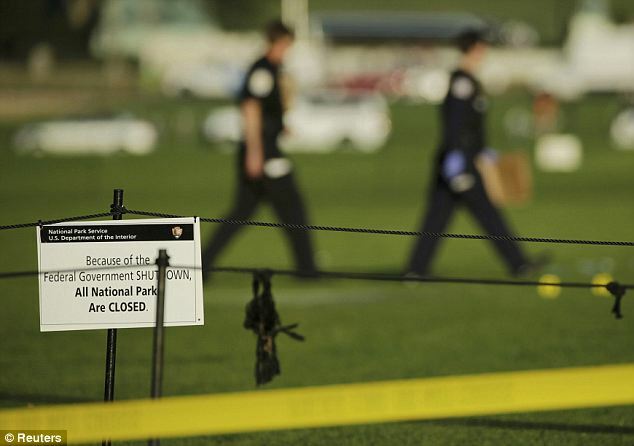 The Mall is a national park, making it one of the hundreds of such sites across the country that have been closed as a result of the government shutdown. 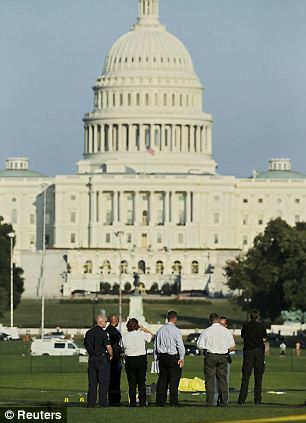 U.S. Park Police sources told MailOnline that the shutdown didn't play into the rescue. Commotion: The fire incident came just one day after a woman was shot and killed by police after ramming her car into a White House barricade. 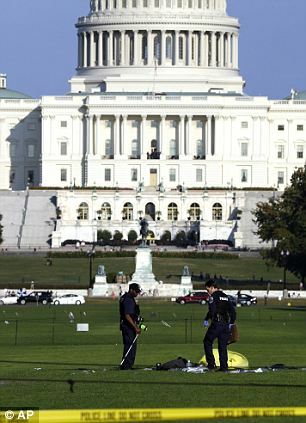 The incident comes one day after a Black woman with a baby in her Lexus automobile was killed by police after she rammed her car into a barricade leading to the White House. She had just been laid-off from her job in Connecticut as a dental technician. 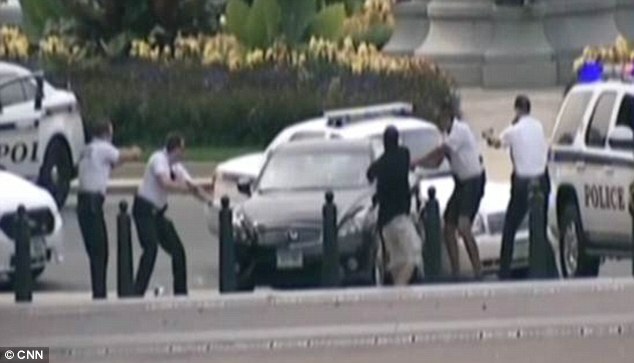 Surrounded: Police officers surround the car with their weapons drawn after the female driver rammed a barricade close to the White House on Thursday.